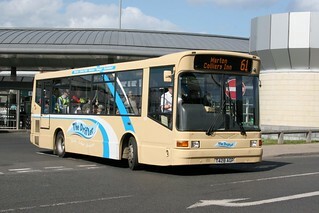 This vehicle has lost Go North East's corporate livery, having been repainted into a light blue base livery. 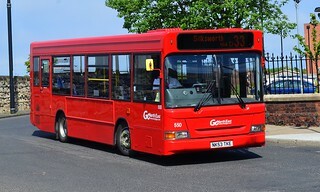 Upcoming service changes in April 2016 will see "Whey Aye Five 0" service 50 interwork with service 5, which is currently operated by Riverside Depot. 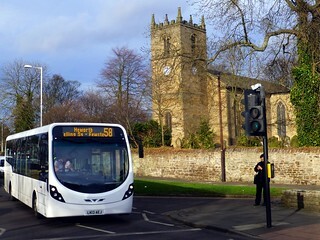 Both services will instead operate from Washington Depot and fall under the "Whey Aye Five 0" brand, providing a consistent brand identity for services 5 and 50 on the Boldon - West Harton - South Shields corridor. It is thought that this vehicle will be one of five to join the "Whey Aye Five 0" brand. 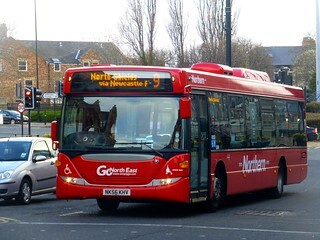 Go North East stated in a customer consultation to review the 9 and X3 services that the company wished to increase the frequency of service 9 (Sunderland - Boldon - Jarrow - North Shields) to every 20 minutes across the whole route and introduce route branding to the service. Customers did not favour these plans, and alternative service changes being introduced meant that the plan to brand 5247, 5248, 5249 and 5274 did not go ahead. Instead, these vehicles have gained large 'Northern' fleet names.